Hauskaa lauantaita, tervetuloa Allsorts haasteen pariin! Ihan itsetehtyjä kukkia koristeena työssäsi - on viikon aiheena! Mallikorttiini tein ensimmäisen kerran kukat Foamiran materiaalista, kukkastansseilla ja koristeheteillä. Viiden kukan tekemiseen meni kaksi tuntia, ei siis mitään nopeaa hommaa! (Pitänee jatkaa taas harjoittelua). Hi; Happy Saturday, it's time for a new Allsorts Challenge! 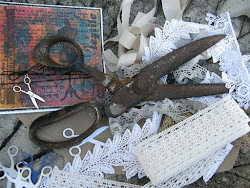 This week we want to see "handmade, homemade flowers". Pretty, pretty week, though! Our sponsor is StickerYou . 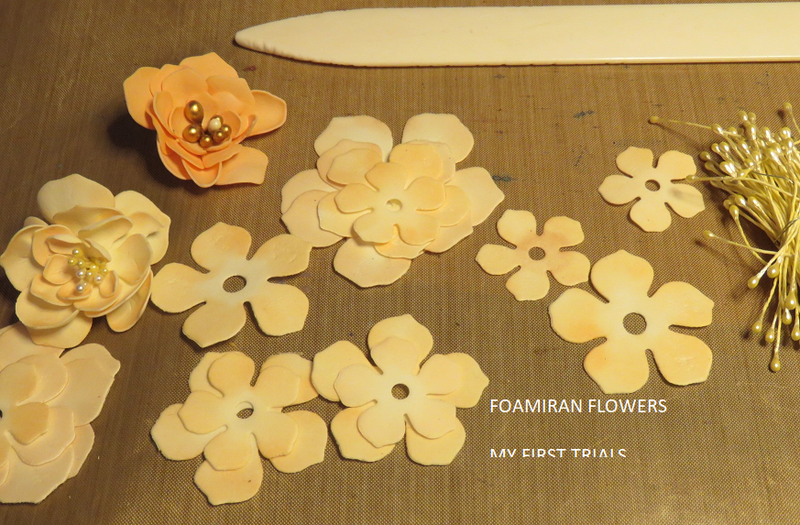 This was the first time I made flowers with Foamiran, flower diecuts and stamens. Not any quick business, it took two hours to make 5 flowers. This is a big birthday card to my crafting friend! Versafine black ink with clear embossing at painted (white colour + water) watercolour paper - it gives so vintage look! 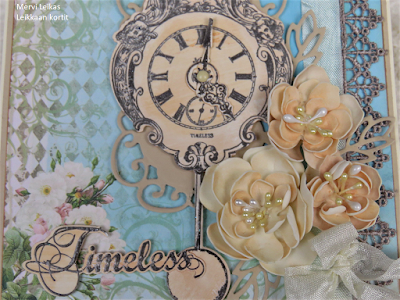 Some Distress Inks added to the cut clock pieces. Foamiran colours ivory and pale peach, and a little touch with DI too. Down paper is pretty from My Bestie Designer Grunge Coll. A lovely vintage creation in the blues and sepias Mervi. 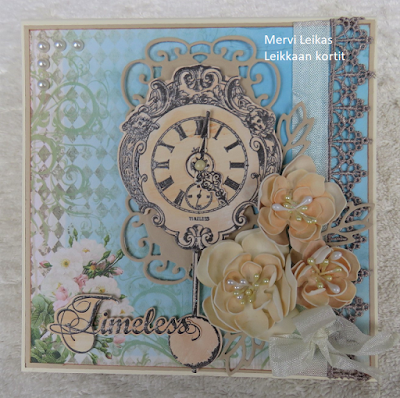 What a beautiful card Mervi, beautiful layered flowers and love the clock stamp! Really super card and your flowers and gorgeous. You’ve got patience, 2 hours to make 5 flowers, but they turned out gorgeous and the time and design put into this make this an extra precious card for a special friend. Your flowers are beautiful Mervi, a gorgeous creation. What a lovely vintage card, Mervi, I love the pretty colours and the flowers are fantastic! Thanks for joining in at CRAFT Challenge! So pretty, I would find it hard to give away!